Calling all Whitfield Alumni! We are thrilled to announce the launch of our formal Alumni Program! 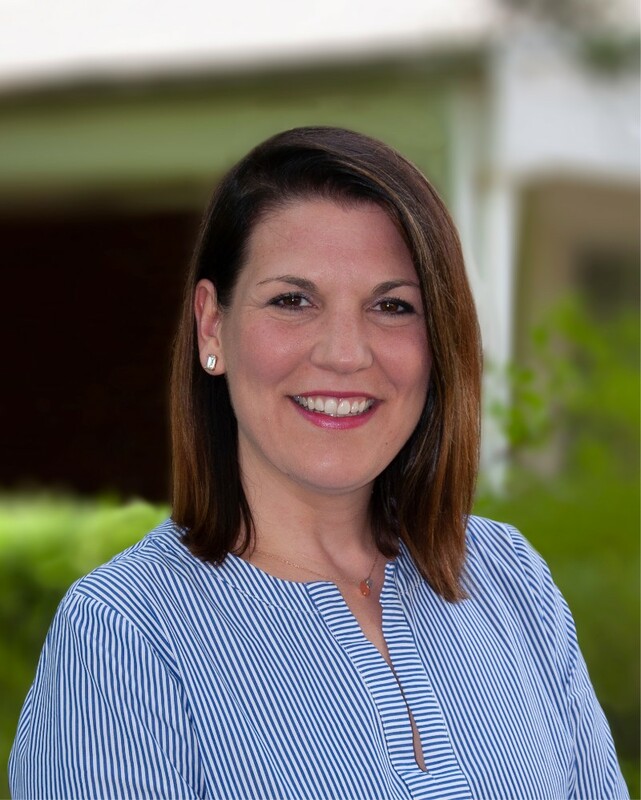 Led by newly appointed Director of Alumni Relations, Megan Campos, Whitfield will begin a year of activities designed to bring alumni of all ages together, and back to campus! We will kick off our year with a Summer Happy Hour at Schneithorst’s Restaurant and Bar on June 26th (alumni age 21 and over). Please join us then to hear more about the many opportunities ahead. Special events have been coordinated for legacy students, alumni with young children, arts backers and everyone in between! 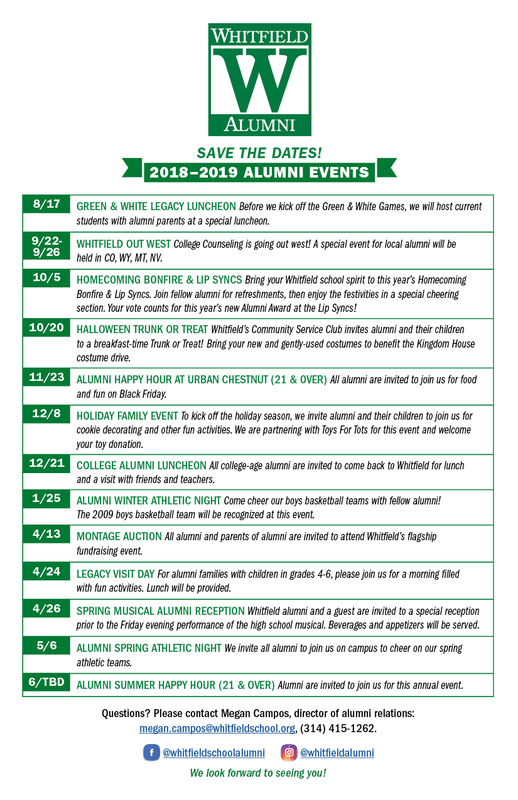 Click here for the full list of 2018-2019 Alumni Events. In addition to events, Megan is developing programs to connect our current students with alumni mentors, including opportunities to offer career insight and advice, or serve as a Senior Internship host. If you would like to share your expertise with our students, or any ideas for alumni programs, please contact Megan at 314.434.1262 or megan.campos@whitfieldschool.org. Megan joined the Whitfield family on April 1st, coming from Wells Fargo’s corporate office in St. Louis where she served as AVP, Meeting and Event Planner. She brings extensive project management, event coordination and relationship-management experience to the job. Megan doesn’t know a stranger, as she exudes enthusiasm and charm. We know you will enjoy meeting her and working with her to build a strong and sustainable alumni program!